At one time the Baltimore & Ohio's passenger trains followed a tortuous route into Chicago. 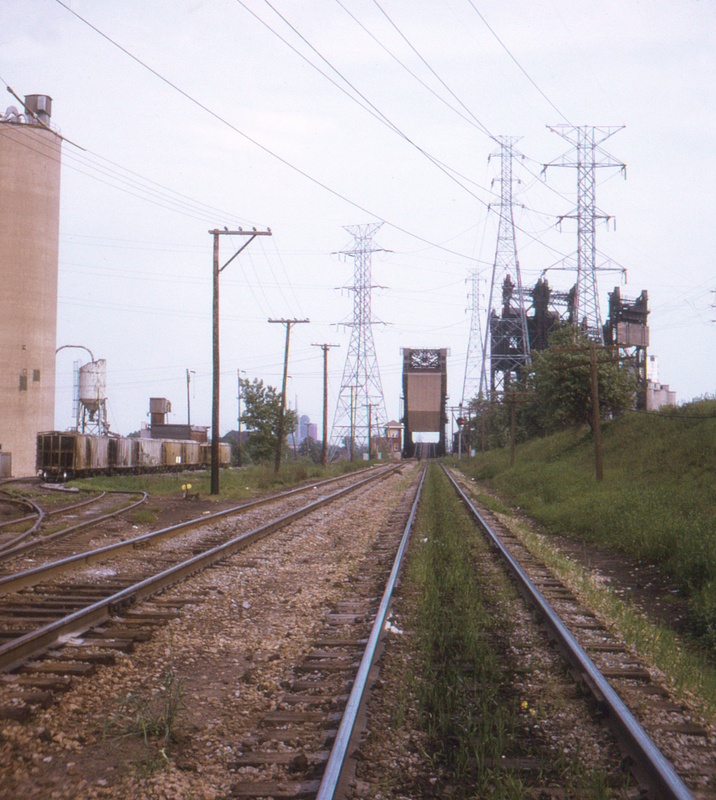 Although this line was still in use for freight, passenger service had ended by the time this photo was taken and the line was not exactly being well-maintained (note the position light signal missing a red lamp). On the embankment to the right are the main lines of the New York Central (by now out of service) and the Pennsylvania Railroad, both Penn Central by this time.